Transitioning to Digital. The only practical path to shortened production cycles. Many new furniture designs start as a series of sketches or 3D scans and are then converted into 3D model for refinement. The time it takes to create and iterate on the design. The need to almost re-start the entire process to address even the smallest change. The excessive lead time and cost associated with any type of “personalized” product. Integrating mechanical and fabric component design. In the past the design of mechanical furniture components (i.e. frame and springs) and the fabrics that cover them have been done separately. This also contributed to the production issues and delays described above. New digital design, patterning and production solutions avoid these issues by allowing manufacturers to integrate all of the components in a single digital environment. This article provides a walk through of the processes and advantages. Step 1: Creating Design Concepts. The product design process starts in a variety of ways. Typically, it starts with a pencil sketch that evolves into a more complete outline of the finished product. The sketch is then translated into a 3D CAD model so that all aspect of the concept can be reviewed and evaluated. 3D scans of physical samples can also be incorporated into the design capture process. Step 2: Presenting and Selling the Product. Seeing the product early in the process is critical to ensure customer acceptance and, in many cases, to help identify possible production challenges. The use of 3D CAD models provides a fast and simple way to present the design in a rendered view. With the integration of direct-to-client websites the furniture can even be viewed, approved and purchased without any type of physical prototyping. At this point in the process, the digital models developed in the 3D CAD software are used to help define and perfect the soft components of the design. 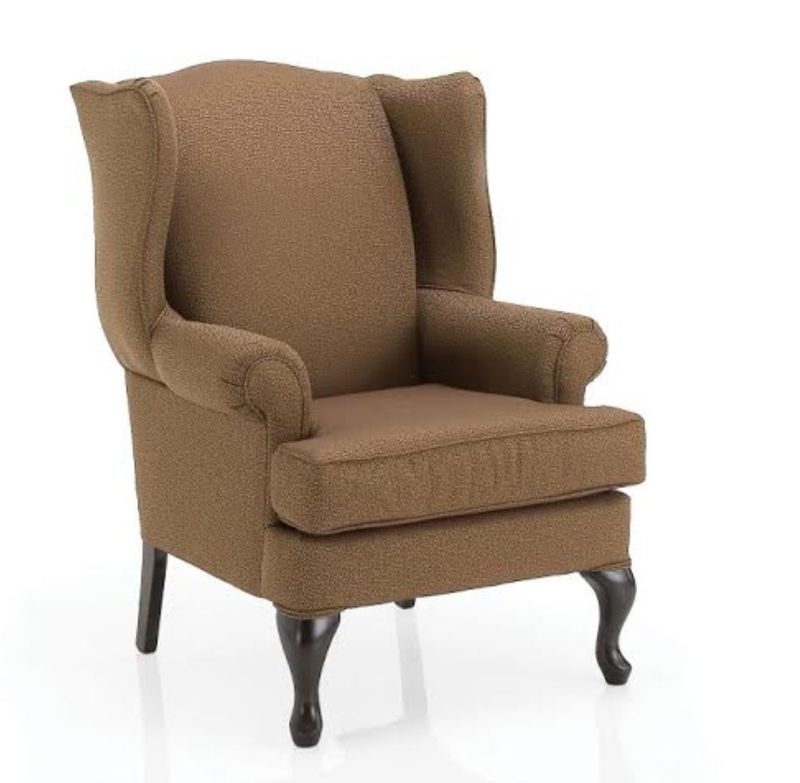 This particular chair has a wooden frame, springs, and a light cardboard or wood planar surface. On top of that the foam is modeled followed by the fabric layer which rests on top of the foam. Attaching pattern features, such as seam allowances, notches, piece tags, grain lines, buttons, zippers, drill holes etc. Generating assembly drawings, and DXF cut files for use with automated cutters. The digital model includes 3D representation, CNC files, Production-ready patterns and all of the related drawing and assembly information for this part. Click on the image to see the process in action. It has fewer steps that can be executed faster, saving time. The steps are linked together, so effort spent on one step is leveraged everywhere. All of this means that you can reliably increase profit on every single part made. 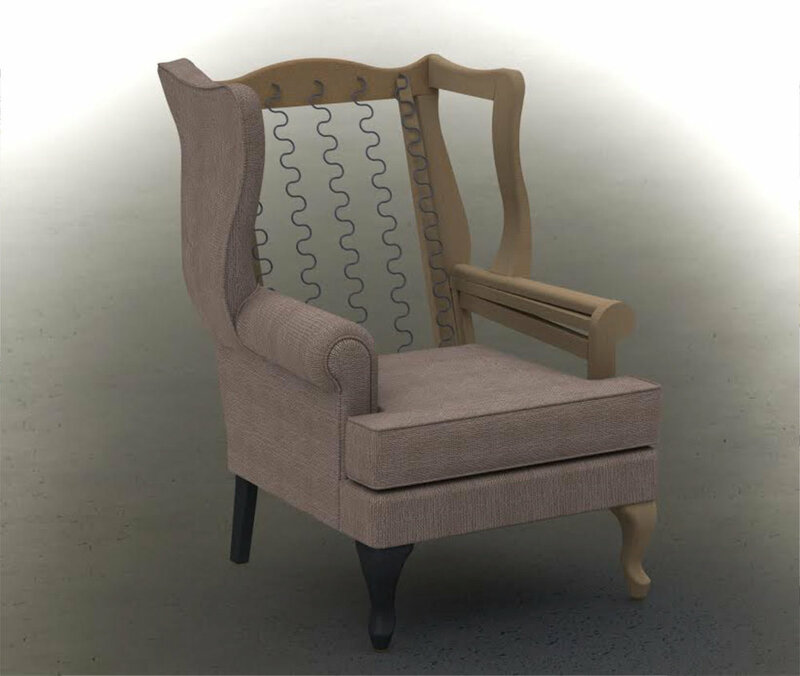 While our example is for traditional furniture, the same process would apply for marine, automotive, and other types of seating such as aircraft, buses, and trains. If your company creates products that incorporate soft flexible materials such as composites, vinyl or industrial fabrics, it is time to join your peers in making the transition to 3D digital design and patterning. Click on the link below to schedule a time to speak with one of our experts and determine how to get started.